In this most basic cloud service model, cloud providers offer computers – as physical or more often as virtual machines –, raw (block) storage, firewalls, load balancers, and networks. IaaS providers supply these resources on demand from their large pools installed in data centers. Local area networks including IP addresses are part of the offer. For the wide area connectivity, the Internet can be used or – in carrier clouds – dedicated virtual private networks can be configured. To deploy their applications, cloud users then install operating system images on the machines as well as their application software. In this model, it is the cloud user who is responsible for patching and maintaining the operating systems and application software. 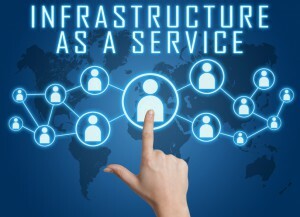 Cloud providers typically bill IaaS services on a utility computing basis, that is, cost will reflect the amount of resources allocated and consumed.